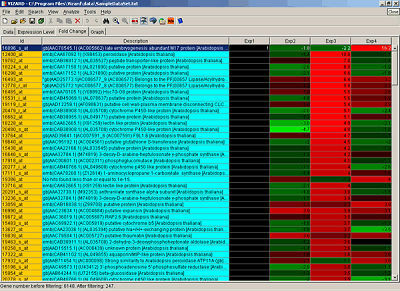 VIZARD is a Java program for analysis and visualization of Affymetrix GeneChip? data.VIZARD includes several integrated tools for filtering, sorting, clustering and visualization of gene expression data as well as tools for discovery of regulatory motifs in upstream sequences. It also includes annotation and upstream sequence databases for the majority of genes represented on the Affymetrix Arabidopsis 8K GeneChip? array.